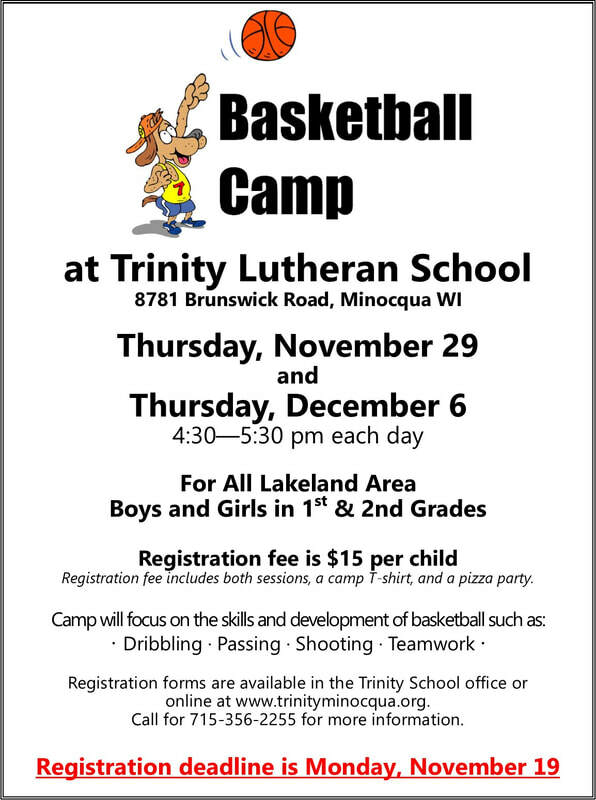 ​are invited to participate in our upcoming basketball camp. Registration forms are available in Trinity's school office, you may fill out the form below, or download a paper form. ​Click here to print a downloadable paper form. Camp fee is $15.00 each camper. This includes both days of camp, a t-shirt, and the pizza party on the last day of camp. Online payments will not be accepted. Following registering online, please mail payment to Trinity. You may also download the paper copy (see link above), fill it out, and mail with the payment to Trinity. Registration forms and payments may also be dropped off at Trinity's office.